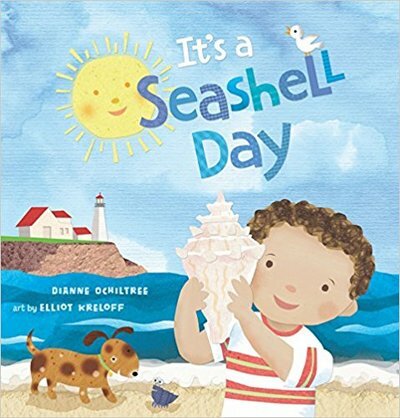 Dianne Ochiltree ​(Florida) is the author of 'It's a Seashell Day' (2016) and 'It's a Firefly Night' (2013), both are published by Blue Apple Books. 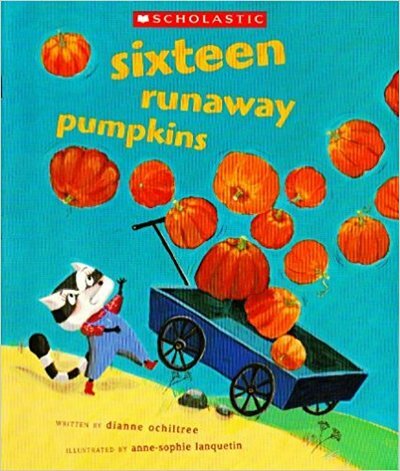 Additionally, Dianne has also authored 'Sixteen Runaway Pumpkins' (2004) and 'Ten Monkey Jamboree' (2002), both are published by Simon & Schuster Children's - Margaret K. McElderry. 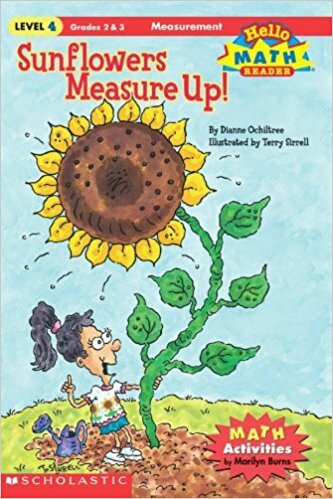 Dianne's earlier mathematical stories - 'Sunflowers Measure Up!' 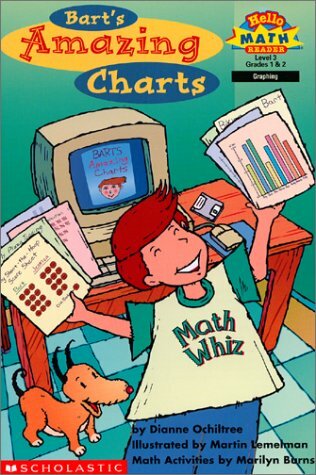 (2003), 'Bart's Amazing Charts' (1999) and 'Cats Add Up!' (1998) - appeared in Scholastic's long-running 'Hello Math Reader' series. We hope you enjoy reading Dianne sharing her experience of working on these incredible mathematical story projects with you! Fun Fact #1: my favorite breakfast food is cold pizza. Fun Fact #2: I stand on my head for 60 seconds every night before going to bed. Fun fact #3: I’m a roadie for my retired husband’s rock band. When I was growing up, I struggled with math. I didn’t think it was something I could do well, because I was the kid who loved to write stories, and draw pictures to go along with them. In short, it didn’t come naturally to me, so I assumed I could not be good at it. ​I only gained real confidence in my ability to master school math class the year I had an extraordinary teacher who assured me that I was smart enough to do the work IF I had the patience to work it through. He was also able to explain the math concepts in a few different ways, which helped me greatly. This helped me not only survive algebra but gave me a good skill set for problem-solving, math or otherwise. Approach a problem from a few different angles and your chance of succeeding is so much greater. Definitely inspired by my personal struggles with math as a kid. My goal is to write a fun story in a way that explains a math concept while making a child smile while learning. A mathematical picture book with a storyline gives me the opportunity to create a character or characters that a young child can relate to, and learn along with. I can use a setting that is familiar to most children, as well as activities that are part of everyday life. 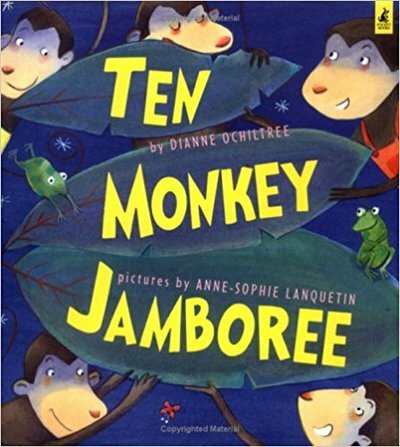 Kids practise math skills along with the characters, as they read along. The difficulty of coming up with the storyline, characters, setting and situation to embed a math concept within isn’t that much different than that of finding those narrative pieces for any sort of story. I draw my inspiration for all types of stories from everyday life. It feels particularly important for kids to feel like math is something they need to learn and that will help them in life, now as well as in the future. What were some of the key stages that you went through in creating your mathematical picture books? ​My usual process is to start with a math concept, such as simple addition, and double-check with educational sources as to which age child for whom this is appropriate. Then, I come up with a tandem non-math theme which is similarly suited to the target reader. I create a setting, characters and simple plot line which would lend itself to math learning. Then, I do a ‘math plotline’ which consists of the sequence of additions and/or subtractions, etc., in numeric form. Then, it’s a creative process of creating a situation and context for each of those additions, subtractions, divisions or multiplications, which in total evolves into the final story. The most challenging stage is to keep a good balance between narrative storyline and the educational content imbedded within it. Too much story or too much math instruction makes the book difficult to read with enjoyment AND learning the math lessons properly. Finding this balance after a lot of drafts is the most satisfying part of the process, certainly. I have not had much influence on the illustrative process for any of my books, as I am not the illustrator but just the writer. However, I have had many wonderful artists work their magic on my words. I feel that my most important involvement with the illustrative process is to provide a solid ‘launch pad’ for the artist to work with, without hindering the artist’s freedom to create. I believe that the kids and animal characters in my books reflect a diverse world. I try to write characters that all children would recognize and relate to emotionally and cognitively; then the publisher works with the illustrator to create a book that reflects the real world in all its diversity. I rarely have input in the illustration process but have consistently been delighted with the final results. I have never had to work with a page count limit, but I can say that most picture books are between 400-600 words, and that is something I endeavor to do before submitting my work to a publisher. There are computer software programs that can guide a writer in finding words that are appropriate to a reading level, but common sense is also a good guide. "If a child isn’t naturally gifted or interested in mathematics, this is a way to approach the subject using their interest in language, stories, and artwork. 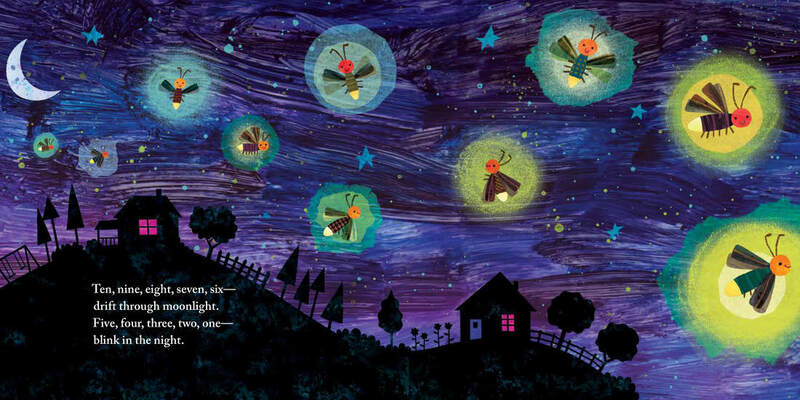 A visual learner might find picture books a comfortable way to understand a math concept." It’s simply another tool for teaching math skills. If a child isn’t naturally gifted or interested in mathematics, this is a way to approach the subject using their interest in language, stories, and artwork. A visual learner might find picture books a comfortable way to understand a math concept. Learning by doing is an excellent way to learn. Going through the process of planning a math story and producing it is another wonderful way to incorporate math studies in the language arts curriculum. The first step, to my way of thinking, would be to seek out appropriate math-oriented story books and to read them to the child. If there is a favorite, use this as a ‘mentor’ text, a story upon which to model a version that the child and parent write together. Then allow the child full freedom illustrate according to his or her muse. The more mathematical story books the child creates, the easier it becomes. There are many good guides to getting published, as well as a lot of good information on websites, so I will just say that the single best step to take is to join the Society of Children’s Book Writers and Illustrators and take it from there. SCBWI is an international association for published and non-published creators of books for young readers. The cost for membership is modest in relation to the resources offered online and in person, at conferences. "There’s much more to find in the MathsThroughStories.org's resources sections than most websites for educators and parents. Additionally, I loved learning about your various research studies and their results, too. It’s important to do field research as MathsThroughStories.org does, interacting with those who are actively working in the field with real students." I think the resources available on the MathsThroughStories.org website offer a fantastic range of useful tips, activities and information. The research articles, how-to book recommendations, and practitioner-oriented articles are brilliant for teachers. 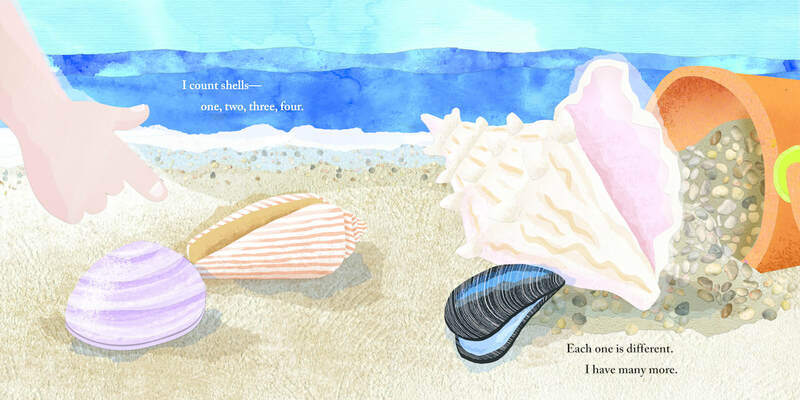 The recommendations of mathematical story books, and inspiration for creating one’s own mathematical stories are particularly useful for teachers, parents, librarians and others working with young students. There’s much more to find in the MathsThroughStories.org's resources sections than most websites for educators and parents. Additionally, I loved learning about your various research studies and their results, too. It’s important to do field research as MathsThroughStories.org does, interacting with those who are actively working in the field with real students. 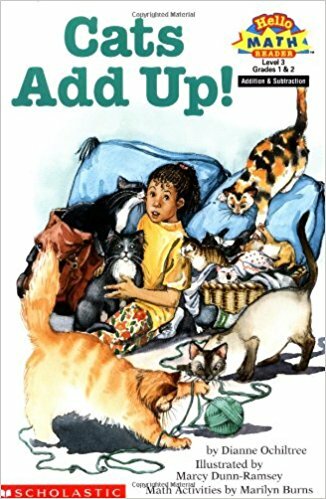 I was most interested in your study of representation of girls and women in mathematics-specific picture books, as I believe it’s important to encourage ALL children to develop their talent in math, and science, regardless of gender. It’s terrific that the encouragement offered is for students of all ages and grade levels, and not just focused on the younger student. It’s so important to not give up on students’ ability to learn, and love, math. It’s so frustrating to hear someone say, by age 13, “I’m just not good at math”. It’s never too late to embrace, improve and enjoy math skills. 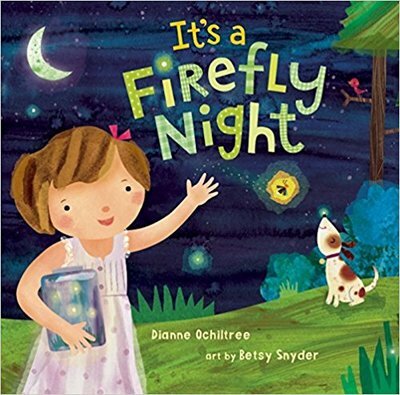 Illustrations copyright © 2013 by Betsy E. Snyder from It's a Firefly Night by Dianne Ochiltree. Blue Apple Books. All Rights Reserved. 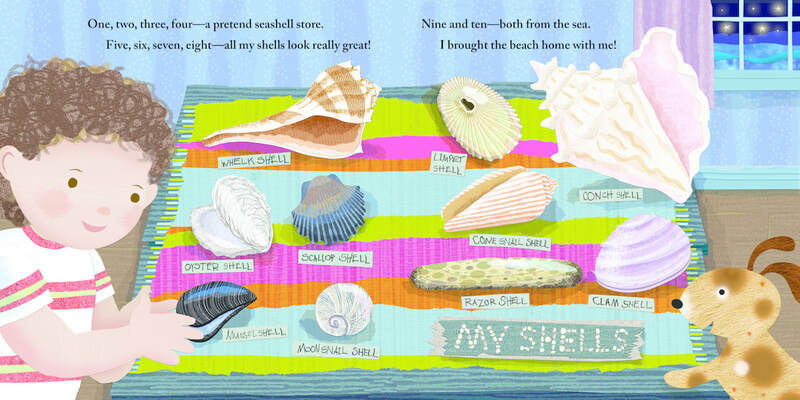 Illustrations copyright © 2016 by Elliot Kreloff from It's a Seashell Day by Dianne Ochiltree. Blue Apple Books. All Rights Reserved. Have comments about this interview or Dianne's books?